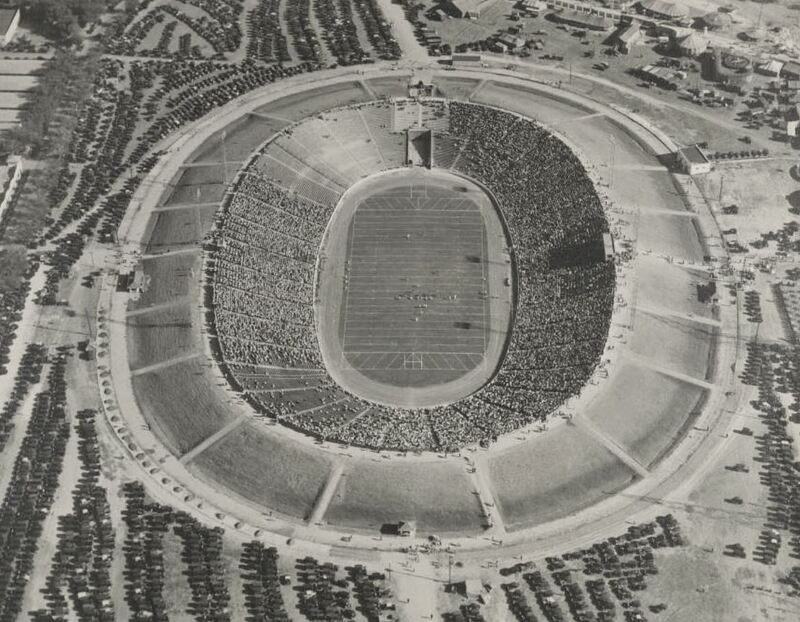 Here are a few football-centric Dallas images to enjoy on this football-centric day. 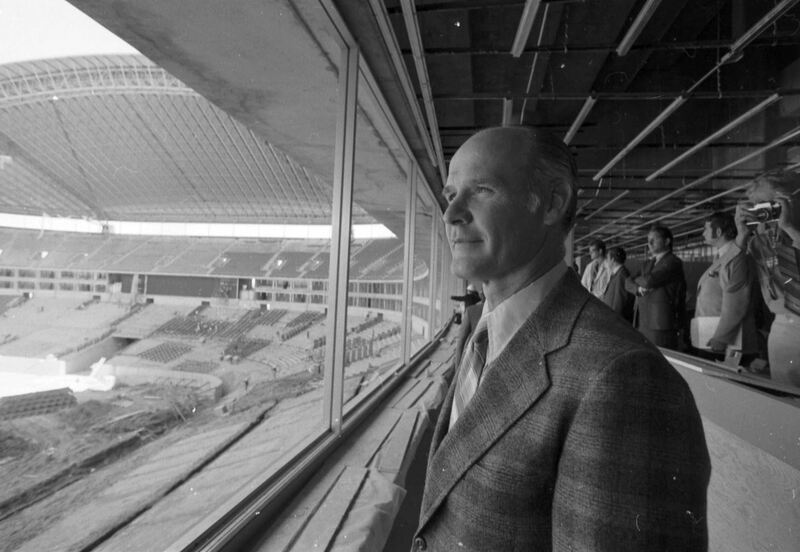 Above, Dallas Cowboys’ coach Tom Landry in 1971, surveying with wonderment the then-under-construction Texas Stadium (via UTA Special Collections). 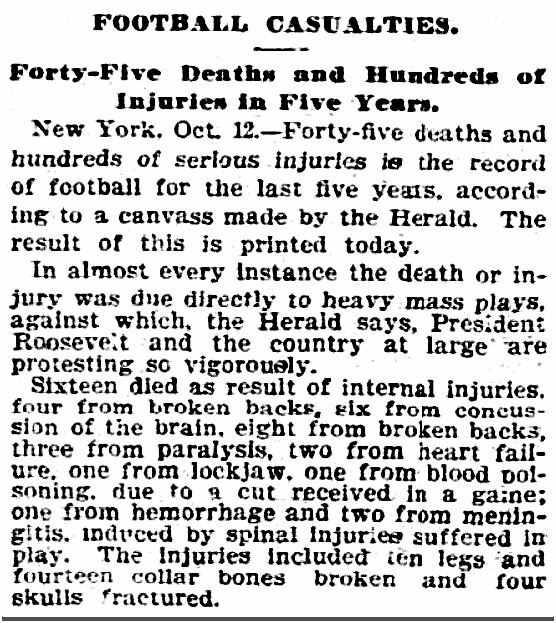 This was at a time when football injuries — and DEATH — were not uncommon. 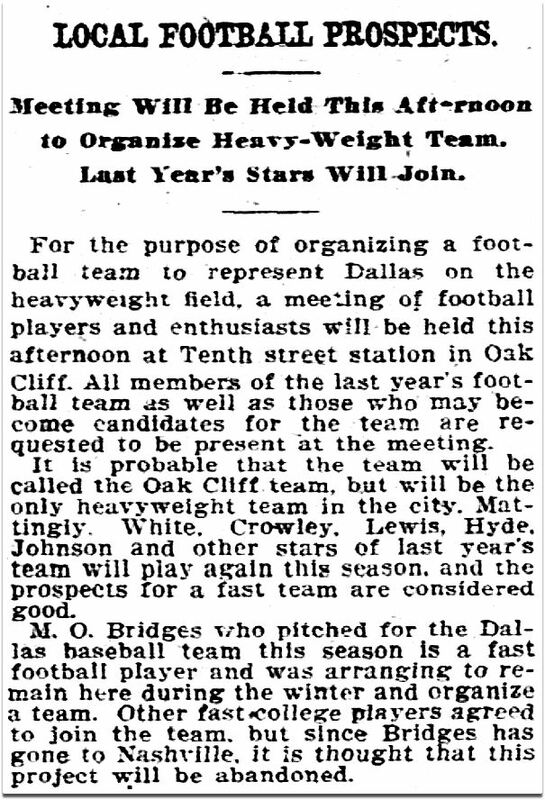 1911: The Dallas High School team at Gaston Park (a popular sporting field which is now the site of the Dallas Music Hall at Fair Park). 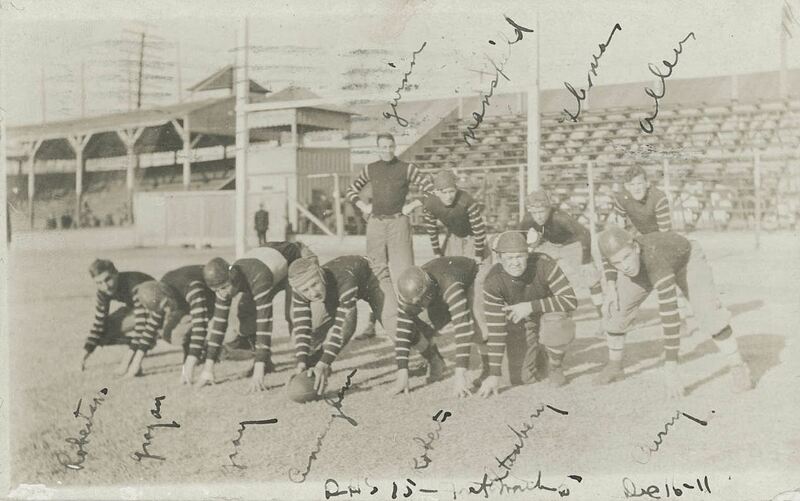 This photo was taken on December 16, 1911 — that day they defeated Fort Worth High, 15-5. 1918: The Love Field eleven was made up of military personnel based at the airfield during World War I. They played other military teams in the area, venturing as far as at least Waco. 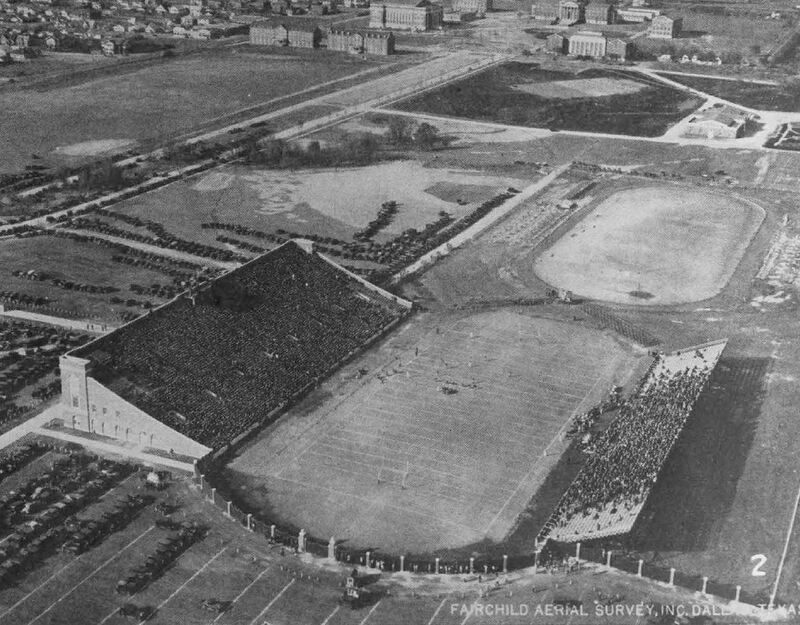 1920s: The SMU Mustangs took on the University of Missouri Tigers at Ownby Stadium. 1932: Speaking of the SMU Mustangs, then-local sports superstar (and Olympics medalist) Babe Didrikson — who was proficient in every single sport she tried — was given the opportunity by SMU coach Ray Morrison to give football the old college try: he coached her in passing and receiving and even allowed her to suit up in an official uniform. 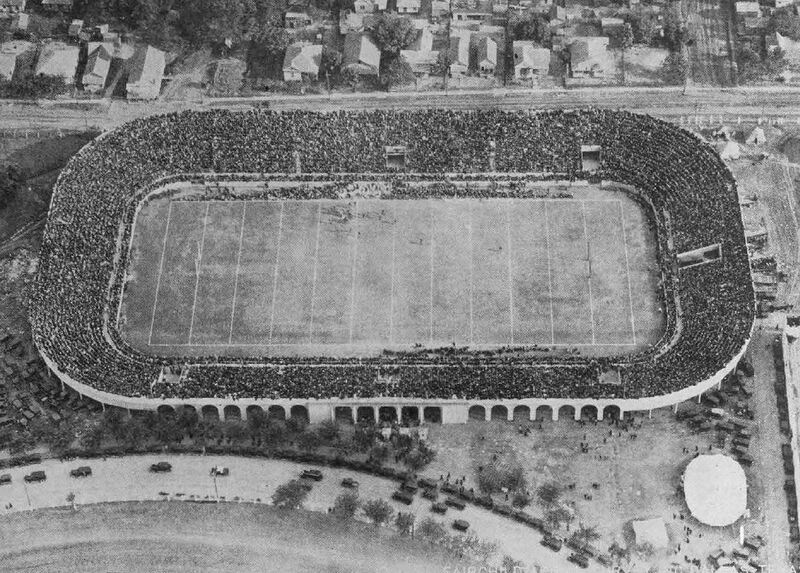 She tried out her football moves for the pubic during a scrimmage in Ownby Stadium on September 18, 1932. 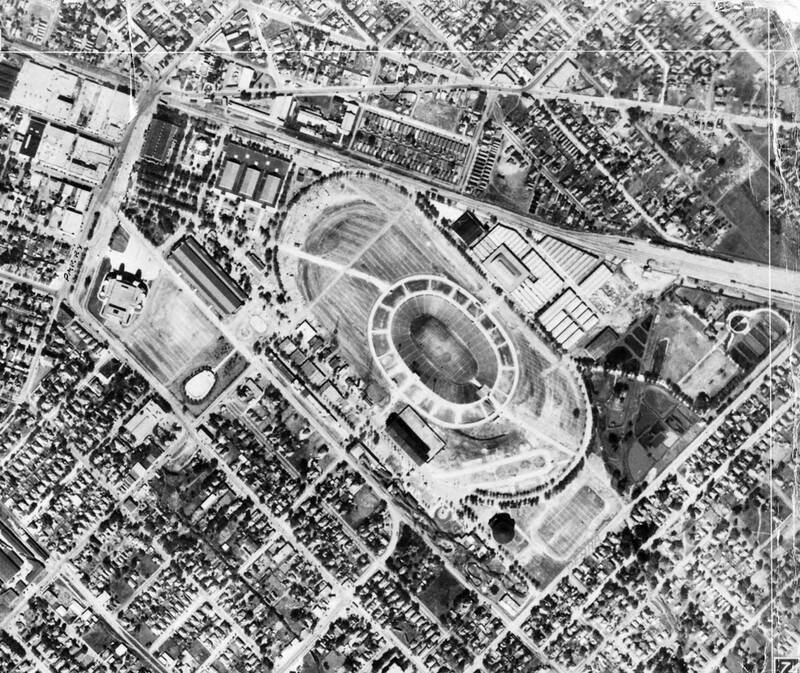 1933: The stadium which would eventually be named the Cotton Bowl looks a little otherworldly in this Lloyd M. Long aerial photo. 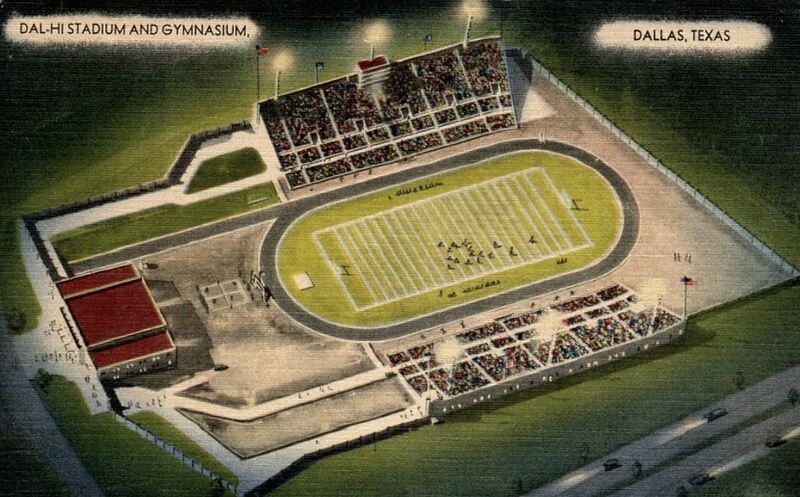 1940s: Dal-Hi Stadium (later P. C. Cobb Stadium) was the home field for six Dallas high schools. 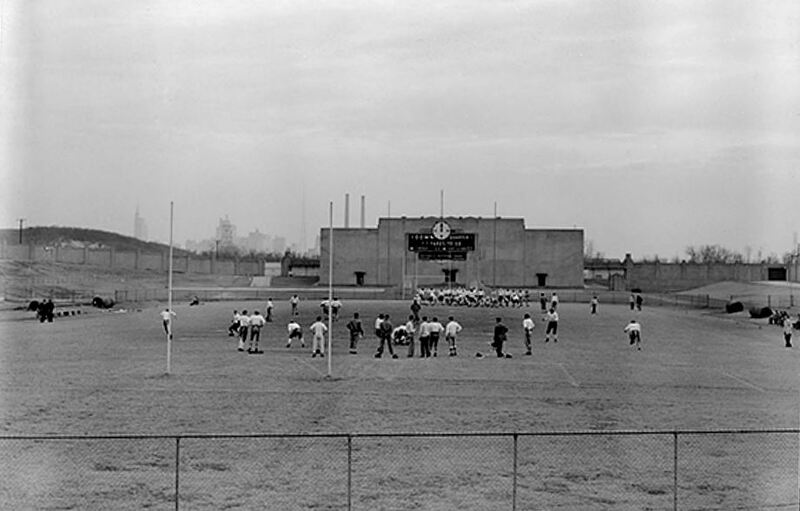 In December, 1949, Dal-Hi served as the practice field for the University of North Carolina team while in Dallas for the January 2, 1950 Cotton Bowl match against Rice University (which Rice won, 27-13). I like this snapshot — downtown looms like a ghost in the background. 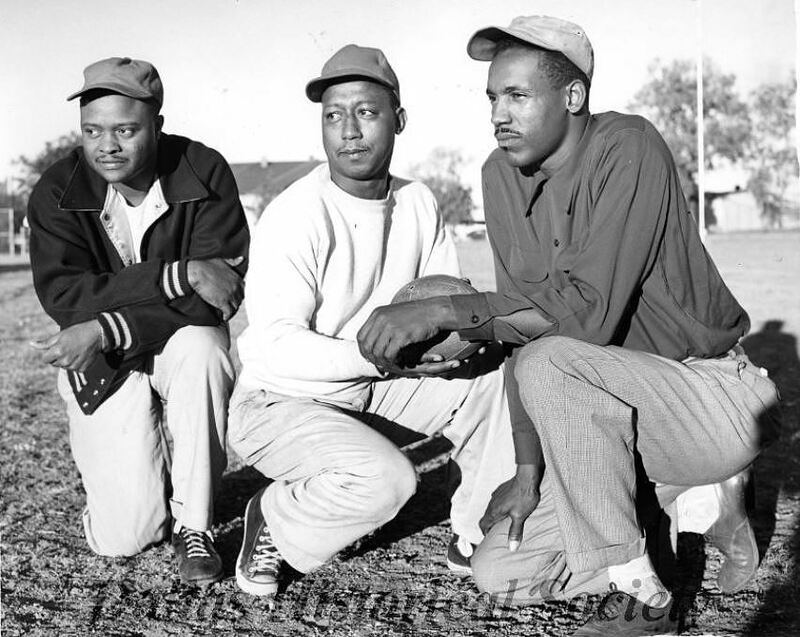 1950s/1960s: Dallas high school football coaches who were all connected at one point (either as players or coaches) with Booker T. Washington High School: the legendary Raymond Hollie (head coach at both Booker T. and Roosevelt), Marion “Jap” Jones, and Sam Briscoe. 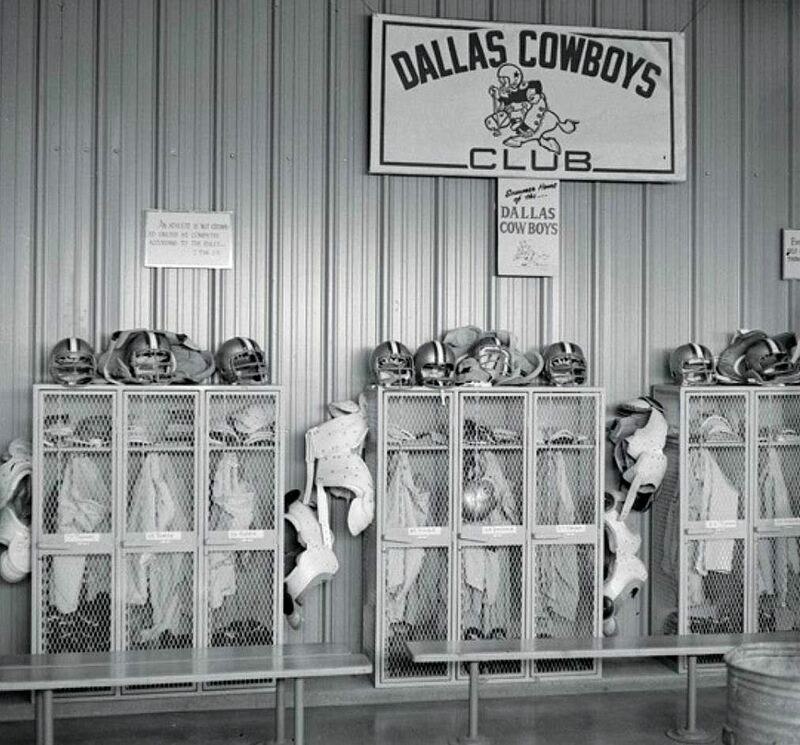 1960s: A quaint Dallas Cowboys locker room. 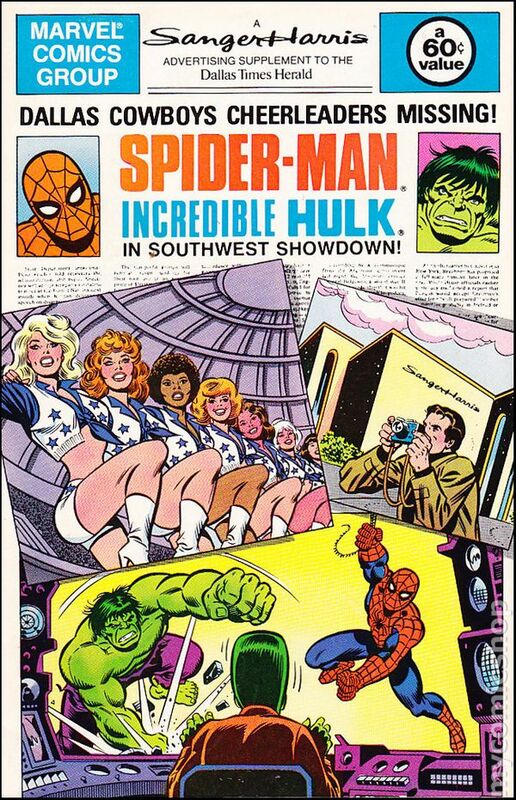 1981: In the tradition of other comic-book heroes appearing in Dallas to save whatever needed saving (here and here), Spider-Man and the Hulk stopped by to help with some football-related issue. The Dallas Cowboys Cheerleaders appear to have been involved. Great look back,.. pics I had not seen before! 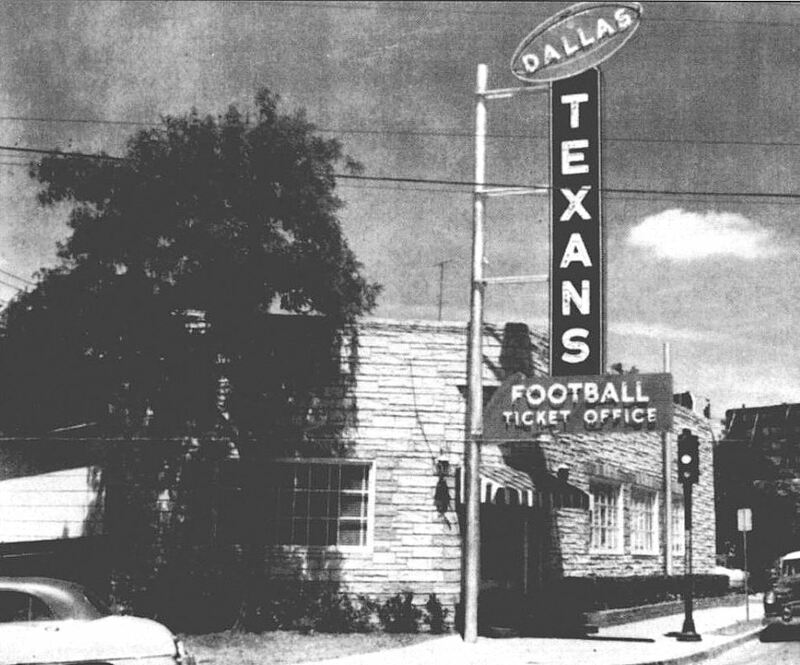 Great to see something about the Dallas Texans since I was a member of the Dallas Texans Huddle Club. In the late ’20s and early ’30s, the SMU Freshmen (the “Colts”) vs. Terrill School game was often the season-ending game for both teams and was heavily covered in the newspapers before and after the game. They usually had crowds numbering in the thousands in attendance. Terrill frequently won the game. 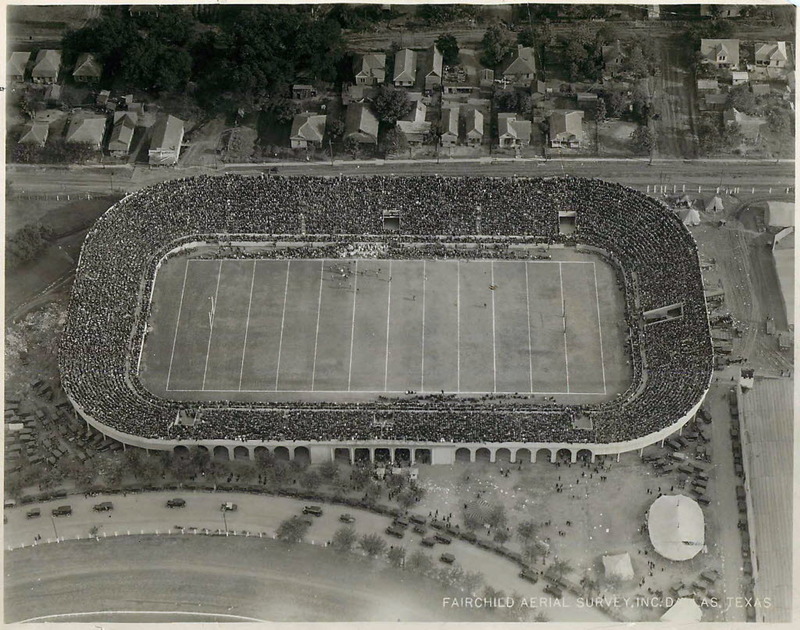 Before the Fair Park Stadium, Terrill played its entire home schedule for almost three years at Gaston Park, which is mentioned in this story. It was torn down in 1914. Texas Country Day School also played games at the SMU field when they hosted Kinkaid School from Houston. Kinkaid returned the favor by hosting Texas Country Day at Rice Stadium. Terrill School played the Love Field team in 1919 at the Terrill campus on Swiss and Peak. 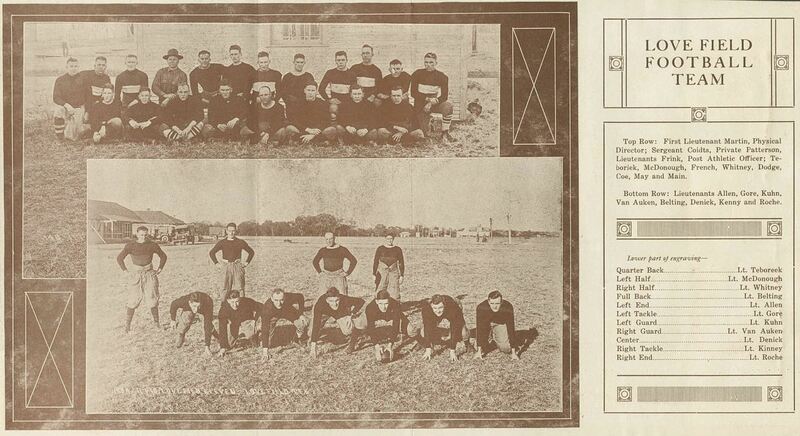 Final Score: Terrill 47, Love Field 0, played October 10, 1919.